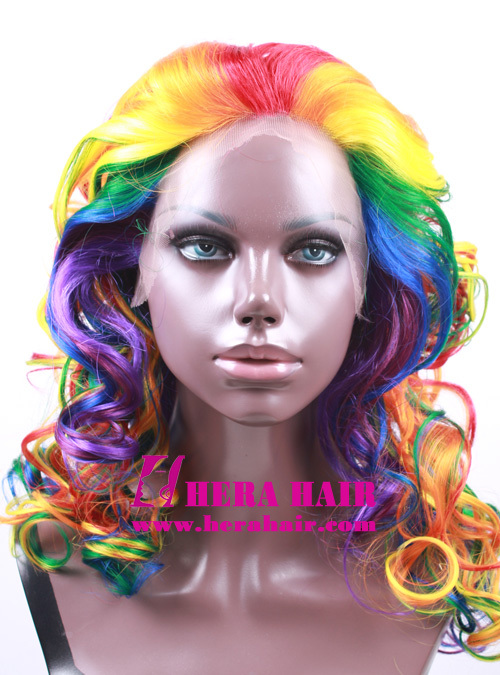 This synthetic lace front wigs is Hera 16 inches curly rainbown color widow hairline synthetic lace front wigs. 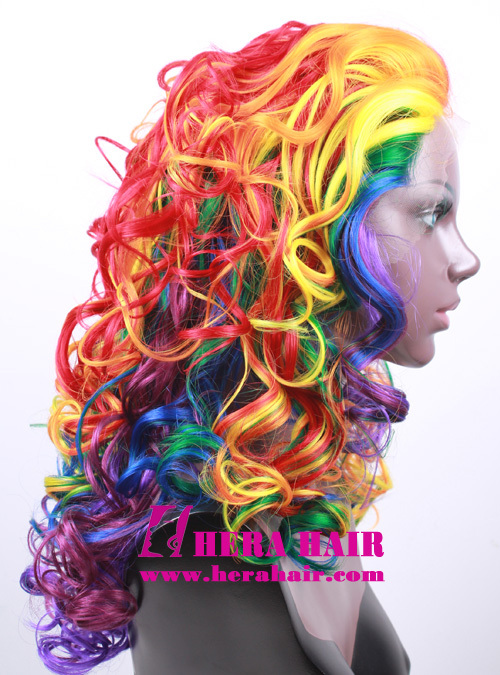 Rainbow color synthetic lace front wigs is a very beautiful synthetic lace front wigs for many occasions, especial for young ladies. We not only can supply rainbow Korean synthetic fiber lace front wigs, but also supply Chinese synthetic fiber lace front wigs, Japanese synthetic fiber lace front wigs, such as Kanekalon synthetic fiber lace front wigs. If you are interested, you can buy on online store http://www.herawigs.com directly with Paypal. And I have to tell you that for this stock synthetic lace front wigs, we only have one piece stock and after we sell that then we will stock another one. 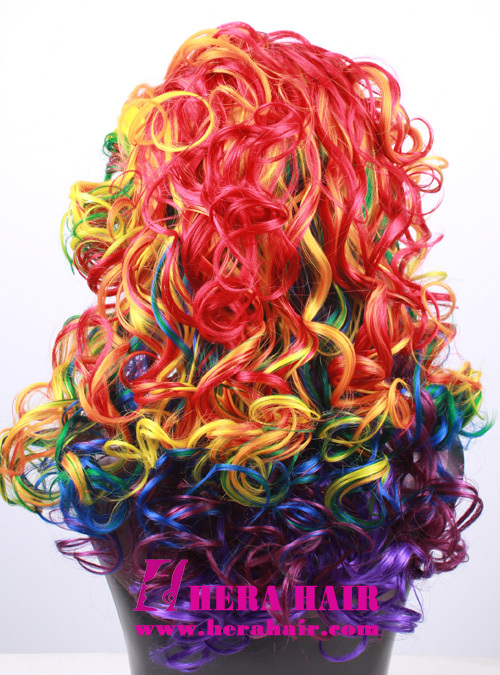 If when you place the order, the synthetic wig has been sold, you have to wait about 5 - 10 days to produce new wig, so if you like, please go ahead at once.